For those outside the HR profession who might be wondering what all the fuss is about, the HR Business Partner or HRBP is a term that was popularised by the HR academic and consultant, David Ulrich in the late 1990s. The complexity, in the profession, over the years arose largely because of HR’s history. With roots in administration, personnel and compliance (all of which were driven by necessity), it’s no wonder that HR has long developed a reputation and a PR problem. This idea of the HRBP is aimed at showing how HR can be better integrated and at the centre of the business so that there is less issue with identifying who they are, what they represent to the business and what value they provide. To this end, I’ve been conducting a series of interviews with senior HR leaders and HRBPs. In this article, I share an interview with Aishah Lassim. Based in Kuala Lumpur, Aishah Lassim is a business leader and consultant for the C-suite and HR function in the areas of talent, culture and the future of the workforce. What do you think it means to be a HR Business Partner today? Aishah: The role has evolved since Dave Ulrich first coined the term more than 10 years ago. I see that the role today is two-pronged, i.e. to deliver for business results today and to plan for sustainability tomorrow. For today, it’s about speed, talent inclusion and digitalisation. For tomorrow, it’s about disruption, work redefined and reconstructed. And the spread of this duality ranges from 50:50 to 80:20 depending on the organisation’s state of progress. Is there a significant portion of your typical HR transactional work that is outsourced? Were you involved in that decision? If so, how did you successfully put your case forward for outsourcing? Aishah: Yes, there was a portion that was outsourced because it was cyclical and repetitive, less cost viable to have a full-time team and also the speed of obsolescence. Any instance where these conditions are triggered will create the potential for outsourcing. What do you consider to be the key aspects of being a great HR business partner? Aishah: Essentially, the role involves developing a solution to a current or future business challenge. There are two sets of competencies in the toolbox. The first set is the technical/science set i.e. Business Acumen, Data Analytics, Learning Technology and Stakeholder Management. The second set is more about the art, i.e. Collaboration, Grit, Sense of Humour and Empathy. A great HR business partner uses the tools according to the situation that prevails and is able to articulate the integrated solution for the business. How do you measure the success of your HR initiatives against business results? Aishah: HR initiatives can be measured in terms of improved productivity, business growth i.e. revenue, market share or reach, engagement scores as well as talent development metrics. The tricky part is about setting targets that are SMART because HR initiatives tend to be on medium to long term results. And in some instances where exact metrics cannot be obtained yet, it’s good to have a proxy measure of progress as indicative of results. What do you think is the biggest myth about being a great business partner? Aishah : There is still the misconception that it is a relational and engagement role. However, the more discerning leaders know that it is a role that serves as a consultant to the management on people related issues. A great business partner would possess good knowledge of multiple human resources disciplines, such as talent acquisition and development, engagement, employee relations, organisational effectiveness and rewards, as an example. A great business partner is also good at solutioning as well as marketing the solution to the relevant audience. Think of it as the conductor of the orchestra who creates beautiful music out of many types of musical instruments. You want to be included in the conversations where the future of the business gets determined and have a real voice in those conversations. How do you get invited into those critical conversations? Aishah : To be at the business discussions means that you must have facts, figures and scenarios. This is where analytics come in handy. This means : “What if …. 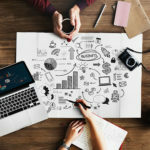 and the impact on people will be … and the resources needed will be ….” It’s a combination of strategy and execution that people expect from HR leaders. Once they see that, your membership in these conversations gets upgraded. Do you believe that financial literacy is key to you becoming more relevant to the business? If so, how? Aishah : Certainly, because business is mainly explained via a financial roadmap – profit, revenue growth, cost efficiency etc. This is not only exclusive to HR professionals but also to IT, Quality and Safety. Financial literacy is not only needed in business outcomes – its reach includes budgeting, decision making and risk management. How do you review how well HR is currently meeting its needs? Aishah : The answer lies between ‘somewhat meeting expectations’ to ‘meeting expectations’. A few years back, Ram Charan proposed the elimination of the CHRO position and the split of HR as we know it into two distinct strands. The reason for the split? “Most CHRO’s,” he says, “can’t relate HR to real-world business needs. They don’t know how key decisions are made and they have great difficulty analysing why people—or whole parts of the organisation—aren’t meeting the business’s performance goals.” Since then, the dialogue has changed to HR leaders being as important as the CEO. This takes on a more positive tone and that translates into HR has begun to step up to the plate. The next step is to have great HR business partners who can hit it out the ball park for a homerun! 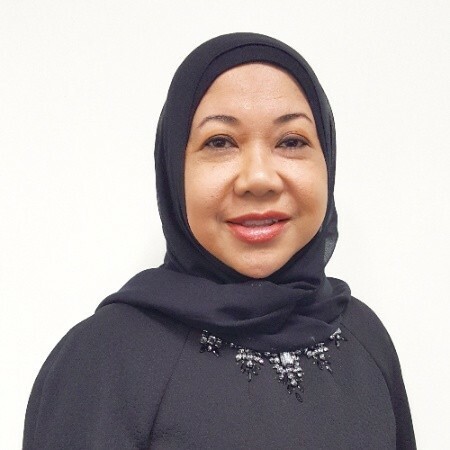 Aishah Lassim is a business leader and consultant for the C-suite and HR function in the areas of talent, culture and the future of the workforce i.e. 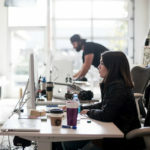 the rise of digital talent and modernisation of technology. She partners with C-suite Executives and HR Leaders to help drive transformation and create value for all stakeholders. 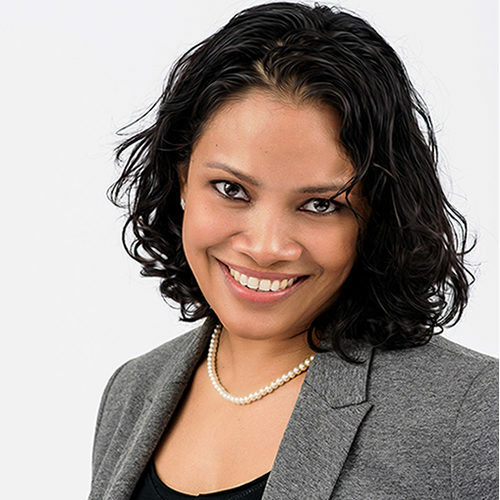 She began as a management consultant and later moved into leadership roles as well as CHRO roles across diverse industries – oil and gas, financial services, IT and facilities management. She channels her passion for future leader development and diversity by contributing to the ICAEW-Women In Leadership programme where she contributed towards the program curation and as a mentor. 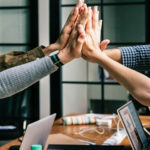 This article is part of my series of articles on what it takes to become a great HR business partner. Read more articles in this series. Vertical Distinct offers the Strategic HR Business Partner certification, a three day HCI offering that helps you build credibility as an HR leader that influences, impacts and advances your business and your career. Find out more about the SHRBP course programme, scheduled dates and cities where you can register.